With stunning menus and creative flair; Food Glorious Food prides itself on its versatility. From traditional weddings to vibrant street food parties we are able to guide you through your catering journey every step of the way. We are here to offer support and advice to ensure your event is a resounding success. Years of experience and an extensive knowledge of the party industry, mean we can offer assistance in planning your event whilst being flexible enough to include your own ideas. We also offer a unique pricing structure, a single price inclusive of food, staff and equipment, with no hidden extras. In this way you are in total control of your budget and there are no nasty surprises after the event. We are proud that the majority of our business is repeat custom or from personal recommendation, and we are confident that our customers both old and new will continue to enjoy our unique and personal service. 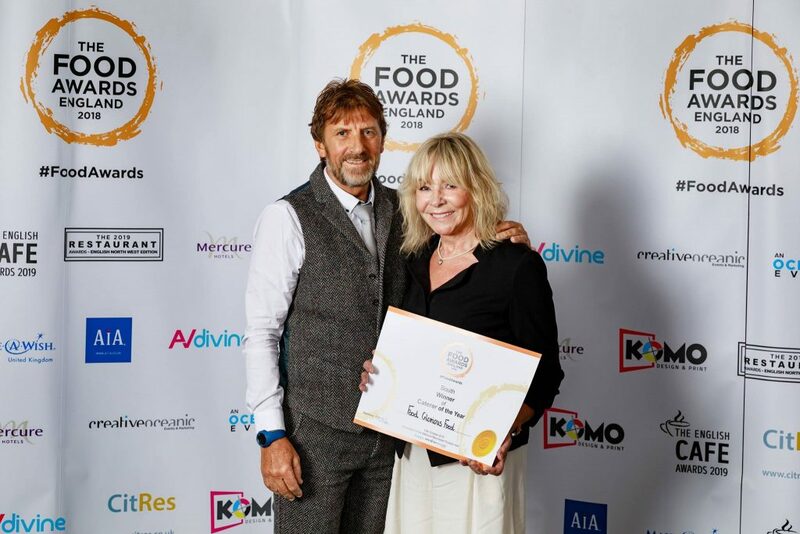 Fresh from our success winning Caterer of the Year 2017, we are proud to announce Food Glorious Food have once again been awarded Caterer of the Year at the 5th Annual Food Awards England 2018. 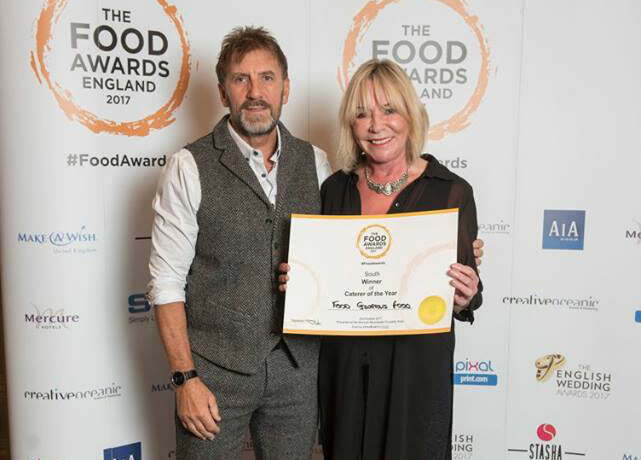 The Food Awards England celebrates and rewards the best in the industry. Based on a public vote, the awards honour the talented individuals and businesses dedicated in delivering constant professionalism, amazing service and fantastic food to their customers. 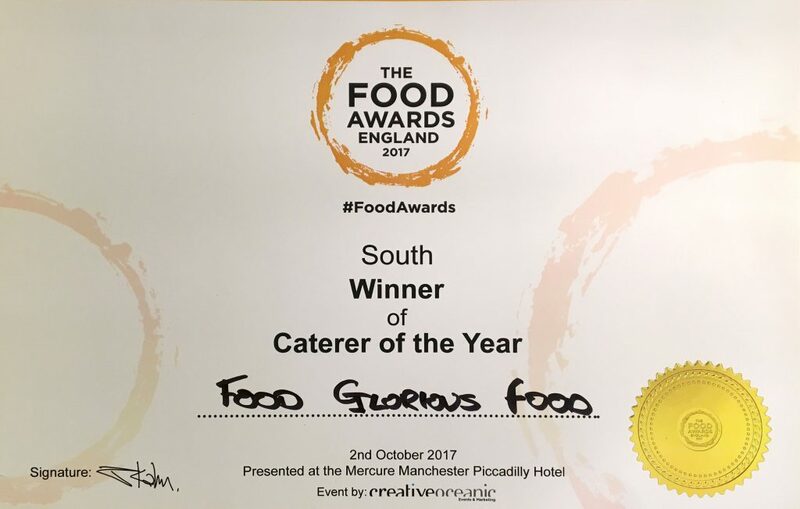 We are proud to announce Food Glorious Food have been selected once again as regional winner for the 4th Annual Food Awards England 2017 Caterer of the Year. 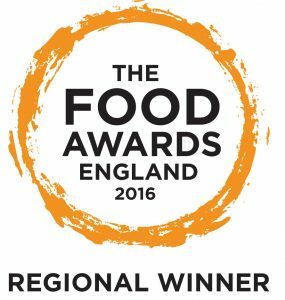 This follows our success from last year winning Caterer of the Year 2016.